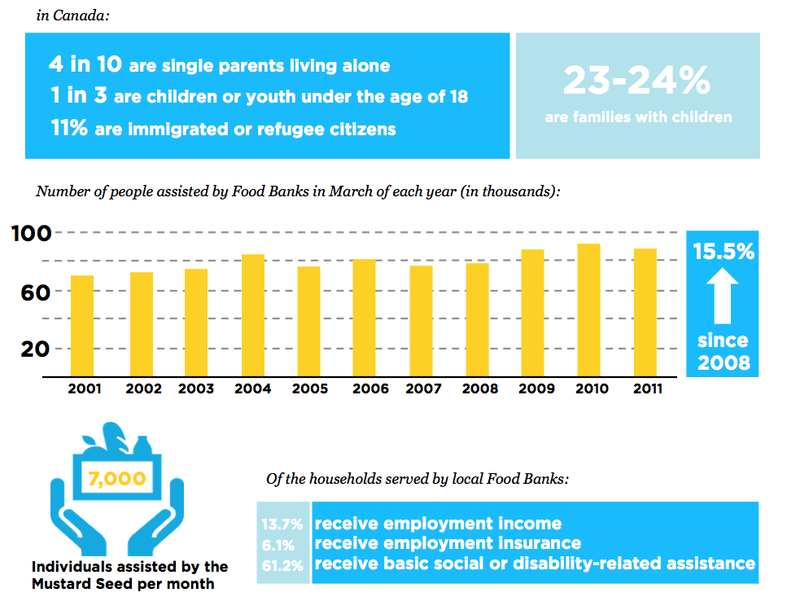 Did you know that, according to a study conducted by Food Banks Canada, 851,000 people rely on a Food Bank every month? 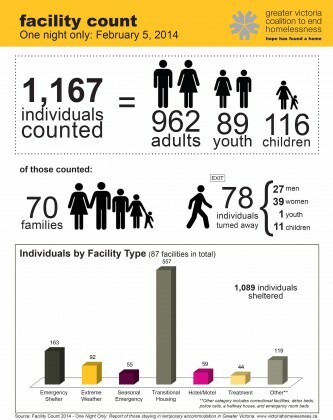 And that in March 2011, 90,193 accessed a Food Bank in BC alone? It has become a known fact that Victoria is Canada’s second-most expensive city to live in. 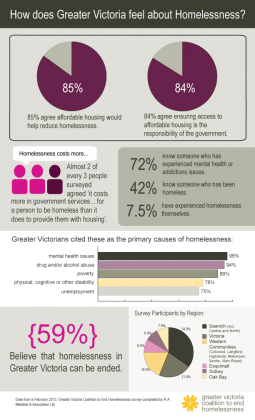 With a minimum wage of $10.45 and city rental occupancy availability rates sitting at 1.4%, we begin to see how challenging it is for low-income individuals and families to survive. Everyone needs food and shelter. It’s a basic human right. Unfortunately, food and shelter are two of the most costly basic necessities. Covering these costs is a huge challenge for people with low incomes. 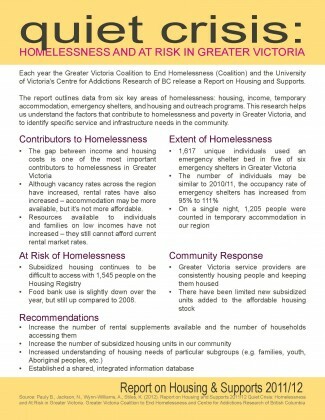 The graph below, via Greater Victoria Coalition to End Homelessness Report on Housing, shows us what’s leftover each month for housed individuals with low incomes. Let’s walk through this together. Based on average minimum wage rates, low-income individuals have on average $489.06 remaining to come: transportation to and from work, child related expenses, toiletries, health-related items, and more. A bus pass alone is $85, and parents who work multiple full-time jobs face high-cost childcare rates, after school care, and extra medical expenses. Now, if you’re on social assistance, you’ve got even less – if any – left over after rent, let alone food. After food and shelter, your “disposable” income is negligible at best, if it even exists! No wonder so many of our neighbours in need access crucial meal programs and necessary food banks like ours. 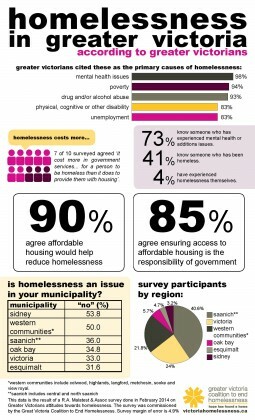 Below are more infographs graciously provided by the Victoria Coalition to End Homelessness and Food Banks Canada. Click the image to enlarge!